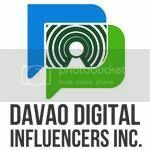 Before Matina Town Square, Kalsada, Rizal, Hybrid and Venue there was a famous club bar located at Ponciano Reyes St., fronting Philippine Long Distance Company who started the great Davao Disco NightLife., the famous ACROPOLIS DISCO. When we talk about simple to classy and high-tech disco and featuring live bands and DJ's, Acropolis is the most talk of the town Class A and B club bar. Suddenly it was shut down and closed. 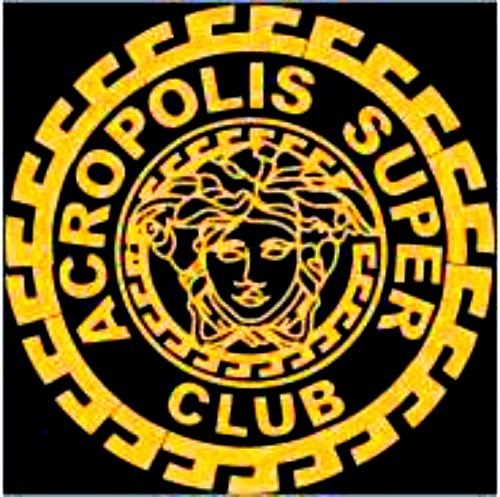 These time it will officially re-opened its doors on May 16, Friday under a New Management with a NEW BRAND NAME, "ACROPOLIS SuperClub". The new owners plan on hosting LIVE DJ's MUSIC with different EVENTS several nights per month and will offer a small food menu for those who loves to have their dinner in the club because they are open as early as 5PM. Remembering the Disco time and Shuffle and Ledge Dance Party with Acropolis? So this is your time to REMINISCE those days and go with the TURBULENCE of the new generation. 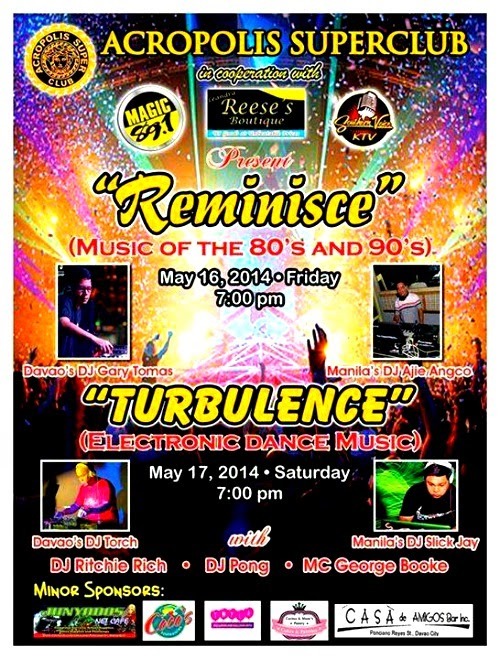 MAY 16, FRIDAY, 7PM - "REMINISCE" an open connection with the '80's and '90's music. Indulging in celebrating by recollecting all of the past music of all times. MAY 17, SATURDAY, 7PM - "TURBULENCE" the dynamic music era in which the young generation loves to hear. Depicting the music of today's generation. *PHp150 with 1 Welcomed drink. There is an incredible list of FREEBIES and PRIZES to be given away during the Grand Opening from one of our proud sponsors LEANDRA REESE'S BOUTIQUE. 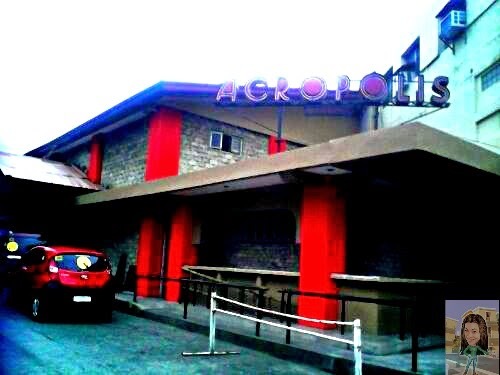 So what are you waiting for, BE THERE and EXPERIENCE the GREAT ENTERTAINMENT from Acropolis SuperClub.